The sport utility vehicle or SUV has miraculously survived the test of time and much criticism about SUV rollover accidents to emerge as a force in the American auto industry. But, is the SUV a safe vehicle? Today, drivers and their passengers are attracted to the unique combination of luxury and practicality afforded by the 21st century SUV, but the vehicle’s track record suggests the vehicle has serious safety issues. Evidence of SUV rollover risk is well-documented. In fact, during the 1980’s and 1990’s, the SUV came under fire for not only its propensity to guzzle gas but for very real and well-substantiated safety concerns. In several documentaries, CBS News depicted the SUV’s tendency to rollover when negotiating certain turns and/or evasive maneuvers. In 2000, the SUV rollover controversy was renewed when a massive recall of defective Firestone tires used on SUV’s was initiated. In that instance, the Ford Explorer, one of America’s most popular and affordable SUV’s, was the culprit. SUVs are prone to rollover when the vehicle’s center of gravity is disrupted. Technological improvements and driver use modifications have reduced the incidents of SUV Rollover but these accidents still occur on US highway and rank among the most deadly accident types. Because SUVs are higher above the road than other passenger vehicles, they are more prone to rollover accidents. The vehicle’s center of gravity can be disturbed when the SUV moves off the paved road or when the vehicle’s tires are out of balance. As the tires are pivotal in supporting the SUV’s center of gravity, there is more pressure on them than with other motorized vehicles. Many experts believe the SUV is only as safe as its tires. 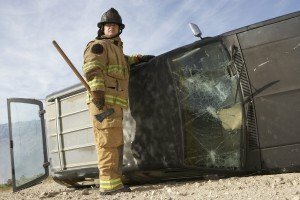 Another contributor to SUV rollovers is defective materials deployed during the manufacturing process. In other words, your SUV may look safer than it really is because inferior materials may have been used in offshore manufacturing facilities. Despite criticism and inordinately high rollover statistics during the late 20th century and despite the effects of the 2000 Firestone tire recall, the SUV has become part of American lexicon. Ironically, after the CBS documentaries regarding SUV rollovers, demand for the vehicles continued to explode. Manufacturers have improved the tire treads on SUVs to reduce the chance they will separate during operation. And, manufacturers have improved the materials used in SUV’s, making the vehicle safer during off-road operation. Yet, very real safety concerns exist in today’s SUV’s. The vehicles are not typically used for off-road experiences as originally imagined. They have become passenger vehicles on Texas roads. Accordingly, the “roll-bars” have been removed from many SUV’s by the manufacturers. According to the National Highway Transportation and Safety Administration (NHTSA), more than half of US auto accident fatalities are associated with rollovers. NHTSA reports that more than 10,000 people die every year as a result of SUV rollover accidents. The Department of Transportation (DOT) has investigated Firestone ASV tires and Wilderness tires used on Ford Explorer SUVs. The subsequent recall cost Ford about $3 billion. Toyota recalled more than 800,000 of its SUV’s due to defects in the steering mechanism and front end suspension. In 2009, JEEP was forced to recall its Liberty SUV model due to irregularities with the suspension system. Many drivers and passengers in SUV rollover cases have pursued litigation against SUV manufacturers for compensation for medical expenses, pain and suffering. 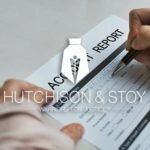 In Fort Worth TX, the attorneys at Hutchison & Stoy, PLLC are experienced personal injury attorneys who understand the intricate design risks of the SUV, have experience with defective product claims and negligence cases against SUV manufacturers and are capable of handling your case. Call Hutchison & Stoy at 817-820-0100 to discuss your case and request a free case evaluation. If you have been involved in an SUV rollover, either as a passenger or driver, this could be the most important call you make. Why wait? If you want to win your case you absolutely must hire Esquire Christopher Stoy. His non lawyer approach, experience, service to humanity, and genuine love for the profession goes a long way. His business partner/ mentor Susan is known and highly respected in the state Texas. Chris faught for me like a friend. Not only did I win my case but, my settlement was far more then I expected. Right to this day I can call him up whenever I have an issue. 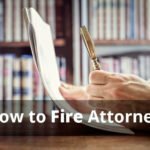 The entire team at his law firm knew me and the details of my case personally when I called over the phone. 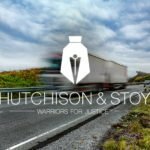 Im grateful that God placed Hutchison & Stoy Law Firm in my path in my time of need. Without reservation I recommend these attorneys. Great attorney, very intelligent and caring! Believed in our case and fought hard for fair and successful results! Chris took all the facts of our case, worked very diligently, researched, kept us informed, answered all our questions throughout the entire case. Presented us with professional and realistic expectations. We were totally amazed and very appreciative, all the hard and sincere work of Chris and whole office. What is the Average Whiplash Settlement for a Car Accident?